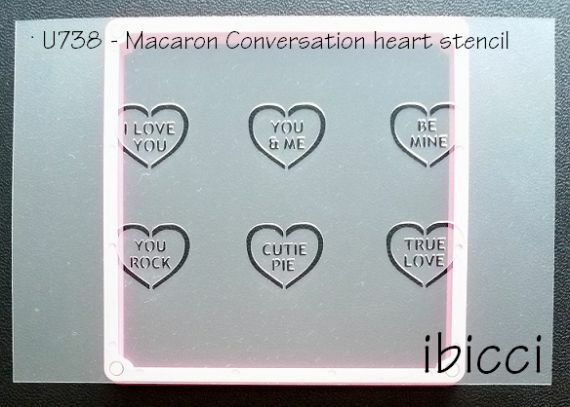 The designs are 3cm wide and 2.6cm high and will fit 4/5cm macarons or mini cookies. As the stencil font openings are small, spraying with an Airbrush or Edible Spray can is recommended. Happy to do other design wording - just ask .